Nelson Mandela holds a special place in the heart of every South African. In this year, the centenary celebration of his life we remember our late icon with great adoration and the impact he still has on our nation today. Mandela was a humble leader who dedicated his life to the service of others and through his ideals of non-racialism, non-sexism, justice and equality for all he changed the course of our nation. In his position as the country’s first democratically elected black president he helped define our national identity and entrench reconciliation, freedom and democracy as its foundation. His vision to restore human rights was made real when the Constitution of the Republic of South Africa took effect in 1997. It laid the basis for the construction of a democratic, united and prosperous society based on justice, equality and the rule of law. Nelson Mandela, in leading the country’s first democratic administration, laid the foundations to drive back the plight of poverty and help bring services to millions of South Africans. It was the Reconstruction and Development Programme (RDP), the precursor to the National Develop-ment Plan (NDP) that set the nation on a path to redress the imbalances in our society. In 1994 the new democratic government, led by Nelson Mandela, inherited a society with gross inequalities and skewed delivery of basic services. Apartheid’s policies had systematically excluded black South Africans from accessing basic services and from participating in the economy. Millions of South Africans languished in poverty deprived of suitable housing, access to safe water and sanitation or sustainable energy sources. An integrated and sustainable programme. Reconstruction and development being parts of an integrated process. In this way the foundation was laid to reconstruct a healthy family and community life in our society. 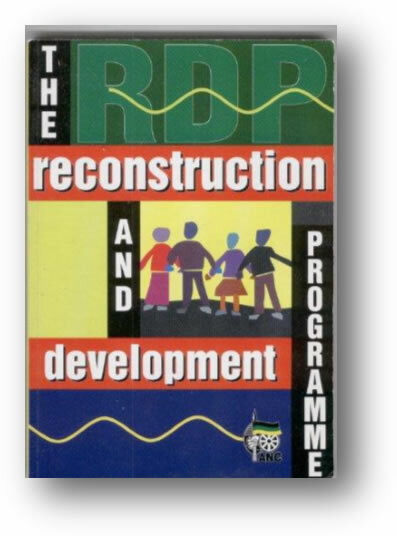 Under the leadership of former President Nelson Mandela the RDP was implemented to address the socio-economic challenges brought about by apartheid. Through the RDP former President Mandela’s administration committed to alleviate poverty and address the massive shortfalls in social services across the country. 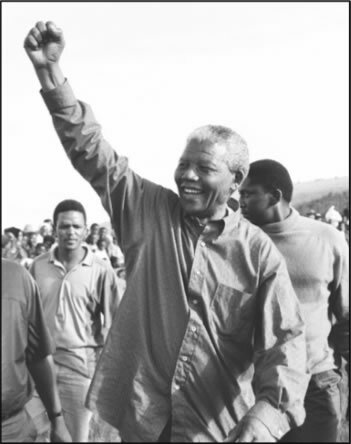 In 1999, at the end of his term, Madiba spoke with great pride of the achievements of his administration. Just over 24 years after democracy, South Africa continues to reap the socio-economic benefits from the solid foundations laid to deal with post-apartheid challenges. With the groundwork in place, successive democratic administrations have continued to build on these accomplishments to improve the lives of South Africans. About 4.3 million RDP houses & subsidies have been delivered since 1994. - Preference is given to households headed by individuals from vulnerable groups, including females, and individuals with disabilities. Although great advances have been made, more hard work lies ahead to ensure that every South African has access to clean water, electricity, decent housing, good medical care, modern schools and a job. Our Vision 2030, reflected in the National Development Plan builds on the Reconstruction and Development Programme. The plan outlines the type of society we are striving for in 2030, where no one is hungry, where everyone is able to go to school and further their studies, where work is available, where everyone is making a contribution because each person has been provided with what they need to live their full potential. This plan however demands that all South Africans unite to make Vision 2030 a reality. The foundation to deal with our socio economic challenges has been laid and it is now our responsibility to take it forward through the implementation of the National Development Plan. 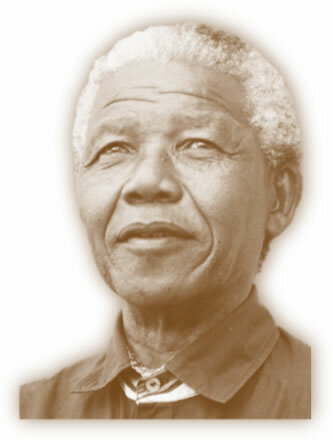 In honour of Madiba’s legacy, let us work together to reach Vision 2030. We are inspired by spirit of “Thuma Mina – Send Me” where we as individuals make it our personal responsibility to accelerate progress in building a prosperous society. All South Africans as individuals, groups or communities must roll up their sleeves and work towards our future. It links directly with our NDP objective of “Building an Active Citizenry”. The NDP foretells a country where through our collective efforts we have eliminated the triple challenge of poverty, inequality and unemployment and enabled all South Africans to achieve a decent standard of living. All South Africans to unite around our common vision of Vision 2030 to achieve prosperity and equity. Of us to become active citizens and work together - government, business, civil society and local communities - so that we are able to live the life envisioned in our NDP. Us to embrace the opportunity for united action because the NDP has the support of all South Africans across the political and cultural spectrum. Of us to rise above sectional interests and with maturity pull together to take our country forward.